Print this Saint Joan of Arc coloring page to honor her valiant obedience to God's Will! 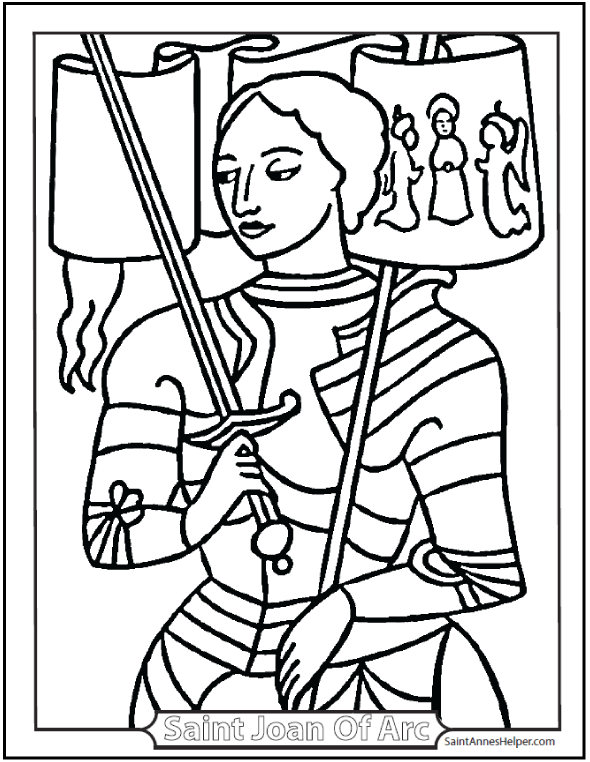 This coloring sheet of St. Joan is great for teaching about France and Catholic knighthood. This PDF prints 8.5x11" single sided.